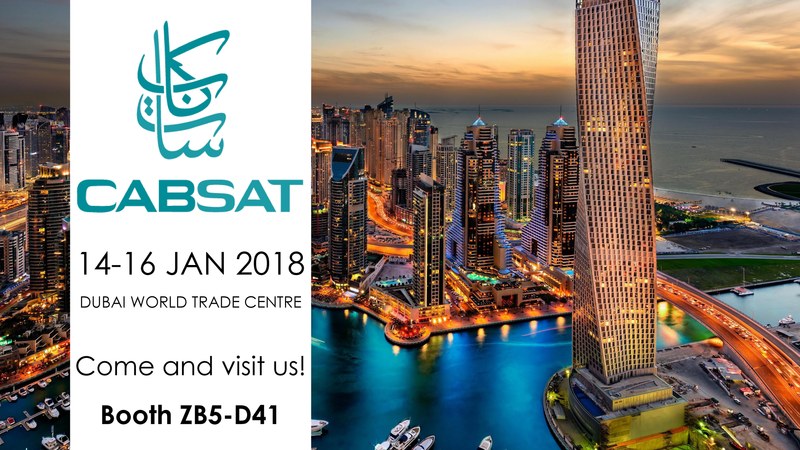 Dal 14 al 16 gennaio 2018 saremo a Dubai, World Trade Center, per il CABSAT. Gli organizzatori promettono di guidarci verso la luce, e noi saremo lì per scoprire se è vero! “It is January 2018, a new world order is installed where people routinely multi-screen and OTT viewing is on the rise. Attention spans are short, sharing is big, social media dominates people’s lives. Broadcasters are fighting for viewers, content marketers for engagement and ROI and satellite operators are striving to keep the world on its axis.